Eng Ling has been with ST Kinetics since 1985 and in system safety for at least 15 years. Over the years, she has implemented system safety practices across the company including the commercial and defence units. With ample support from ST Kinetics, she assembled the first Chapter EXCO, the Chapter Constitution, rendered strong support to the chapter and inaugurated the regional conference to promote this discipline further. As Past President, she continues to play an active role in the Chapter. She is currently holding the RVP (Asia Pacific) position with the International System Safety Society. In 2003, the Society awarded Eng Ling the International Award in recognition of her contribution in the International Advancement of System Safety. In the same year, she received recognition from the System Safety Society Founder, Mr Roger Lockwood, for her effort in starting the Singapore Chapter. Eng Ling is instrumental in starting the Singapore Chapter and inaugurated the International System Safety Regional (Asia Pacific) Conference. She has been appointed as the Regional Vice President (RVP) for Asia / Pacific for the Society Years 2012 - 2016. She holds the position of Head System Safety in ST Kinetics and performs corporate system safety functions. Her role is mainly on competency built-up and sustenance of system safety practice. Her experience help start System Safety Society (Singapore Chapter) started on the right footing. Ten Lin Mei graduated from National University of Singapore (NUS) in 1989 with a Bachelor of Science Honors degree in Mathematics. She obtained a Master degree in Industrial System Engineering, also from NUS, in 1998. Lin Mei worked in the areas of reliability, maintainability, system safety and process development. She has supported developmental projects as a product assurance analyst, reliability manager, and has provided safety analysis services in projects of various platforms in DSO National Laboratories. She is currently holding the portfolio of System Safety Programme Manager in DSO National Laboratories, responsible for the continuous assessments and benchmarking of the organization’s System Safety Quality Management System with military standards and commercial best practices. She is also responsible for the development of system safety resources and the training of system safety professionals in the organization. David is currently the Quality Engineering Group Head under the Quality Assurance Department of the Engineering and Development Centre, ST Aerospace. As a Quality Engineer, he has performed Reliability, Maintainability and Safety Assessments for various Aircraft Upgrades and UAV Development projects. He is also involved in the Safety Assessments for the A330 Passenger-to-Freighter and A320/321 Passenger-to-Freighter Conversion programmes. He holds a Bachelor of Engineering in Electrical Engineering and a Master of Science in Defense Technology and Systems from the National University of Singapore, and a Master of Science in Operations Research from the US Naval Postgraduate School. 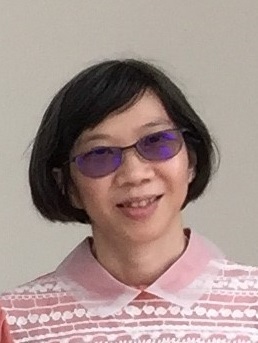 After attaining BEng (Electrical and Electronic Engineering) from NTU in 2007, Vivi had joined Singapore Land Transport Authority as a Systems Assurance Engineer, focusing on Reliability, Availability and Maintainability, as well as Safety of the Electrical and Mechanical systems for railway and road tunnels. She had supported several local projects, such as Marina Coastal Expressway, Sentosa Gateway Tunnel, Tuas West Extension, Increasing System Capacity for Sengkang Punggol Light Rapid Transit, Canberra Station, Circle Line 6 and Cross Island Line (East), as well as overseas project, such as Doha Metro. Besides the project works, she was involved in several workgroups, such as setting up the Independent Peer Review Panel whereby 4 renowned experts were invited to share the best international practice in the railway industry, Asset Risk Management framework to identify asset critical item list for railway, etc. She was also the first batch of Engineers to be accredited as Chartered Engineer (Railway) by the Institute of Engineers Singapore in March 2016. Kwee Seng leads a team of systems assurance (Reliability, Availability, Maintainability and Safety) engineers in LTA Systems Assurance & Integration Division. His responsibilities include areas such as Safety Certification, RAMS management, software assurance etc. in both transits and road tunnel projects. In addition, Kwee Seng has also been actively involved in some overseas projects providing systems assurance consultancy works in project such as Dubai Metro. He joined LTA after graduating from NTU in 1997 and was actively involved in the development of Systems Assurance processes within the Railway industry in Singapore. He is keen to pursue his career in this field and has further his studies in UK. Joyce joined Land Transport Authority (LTA), Systems Assurance & Integration Division in 2002 with a Bachelor of Engineering (Electrical and Electronic Engineering) from Nanyang Technological University (NTU). In 2009, she obtained a Master of Science in Systems Engineering from University College London (UCL). Joyce specializes in Systems Engineering, in particular on Safety and Reliability aspect of Roads and Rails Electrical and Mechanical (E&M) systems. She was part of the team which delivered key projects such as Electronic Integrated Fares System (EIFS), Singapore Circle Line (CCL), Dubai Light Rail Transit and Shanghai Metro Line 10. 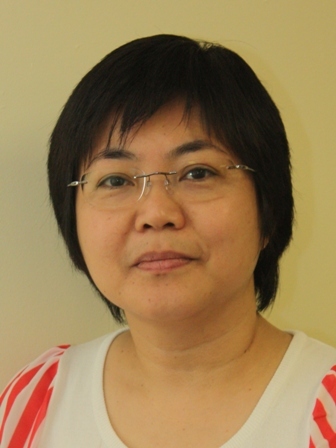 Seet Ting has more than 15 years of experience working in system safety in ST Kinetics. She is a permanent member of her company’s Safety Review Board for both military and commercial systems and developed company guidelines for safety analyses. She trains engineers across her company on understanding system safety and has trained new engineers to become System Safety Engineers. She helped teams that are new to system safety and audited the main business units on system safety annually. She holds a M(Sc) in Human Factors Engineering and a Degree in Electrical and Electronics Engineering from Nanyang Technological University of Singapore. She is also a Certified Reliability Engineer (Singapore Quality Institute). She is a founding member of the Singapore Chapter and an avid supporter of Chapter activities amid her tight schedule . She had presented in various sharing sessions within Singapore which included a paper in the International System Safety Conference (2013) and in the International System Safety Regional Conference (2008). She had also co-authored papers in the International System Safety Conference (2002 and 2015). During her term as Chapter President, she had set up the Chapter's Facebook page and created various training opportunities for the local community. Boon Eang received her B.Sc and M.Sc (Management of Technology) from the National University of Singapore. She has more than 30 years of experience in software engineering and management in many large scale systems such as Air Command and Control Systems, Air Traffic Control System, Port Automated Guided Vehicle Pilot System, and Fire Services Location and Management of Emergency System. She started practicing system software safety since 2004 and has pioneered the establishment of the System Safety Management framework and processes for her company. She leads the System Software Safety governance and process improvements in her company. In addition, she drives the system software safety capability buildup for her company through various projects’ involvement, training programs, sharing sessions and the Singapore Chapter’s activities. Boon Eang also helps promote system safety through supporting as an organizing committee member for the 2008 International System Safety Regional Conference, contributing software safety materials for the Institution of Engineers Singapore (IES) SE manual, training and certification in 2009, co-authoring a paper and presented it at the 29th International System Safety Conference in 2011, and sharing at the Singapore Chapter organized events. 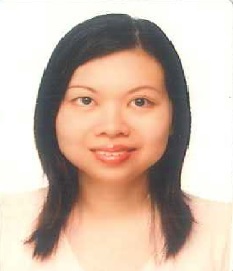 Shirley graduated from National University of Singapore with a Bachelor of Engineering (Electrical Engineering) in 2003 and has been working on system safety and reliability aspects of M&E systems in LTA. She joined Maxtor as Reliability Engineer after graduation and obtained the Certificate of Reliability Engineer in 2006. In 2007, she joined ST Electronic as a System Assurance Engineer to work on safety and reliability aspects of railway projects such as Singapore Circle Line (CCL) and Taoyuan International Airport MRT. Since 2011, she has been with Land Transport Authority (LTA) as System Assurance Engineer supporting railway projects such as new trains for CCL and Thomson East Coast Line (TEL) as well as support in application of Systems Engineering processes and activities on railway projects. Su Cheok has been in the executive committee of the Chapter since the beginning. His interest is to communicate the system safety management approach for more agencies to take advantage of model to introduce safe systems. In DSTA, he is principal engineer in the System Management and Guided Weapons and Armament communities. Safety management is an important function in the armament community and he has been part of the improving safety management in the Defence Community over the last decade. His current appointment as Council Member for Publicity & Media is fitting for his continual role of supporting the editorial of the Chapter website and Facebook page initiated by Seet Ting during her term as Chapter President (2009 - 2011). 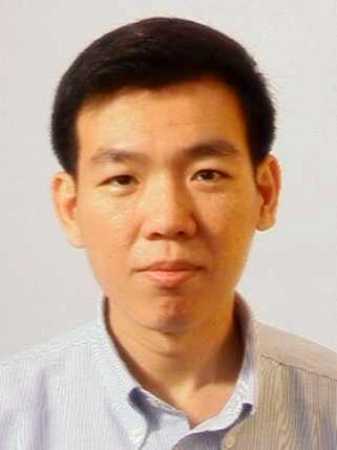 Boon Heng graduated from the Nanyang Technological University of Singapore with a bachelor’s degree with honours in mechanical engineering in 2007. In 2011, he furthered his education at the Naval Postgradute School of USA, which culminated in the receipt of master’s degree with distinction in systems engineering, and the "Naval Postgraduate School Outstanding Academic achievement" award. Since joining the Defence Science and Technology Agency (DSTA) in 2007, his area of experience is in the fields of System Safety, Reliability, Maintainability, Availability (RAM) and related process development work. He primarily performs as a subject matter advisor on system safety and RAM related issues to project management teams (PMT). As a member of several PMTs within DSTA, he was involved in projects across multiple platforms.